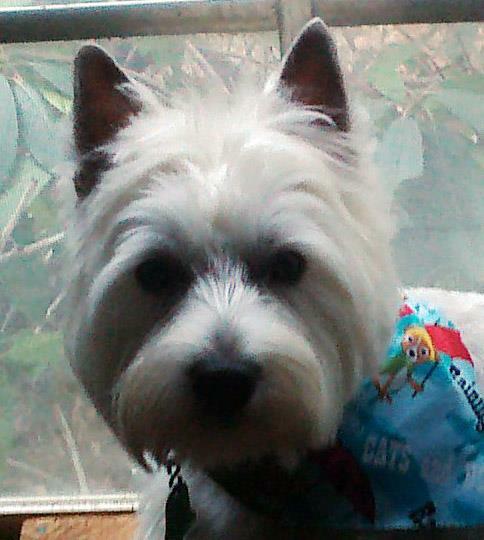 My name is Kim Cox and I’m a multi-published author, Web and book cover designer, and the proud co-owner of two West Highland White Terriers (Westie for short), Scooter (male, age 5 now) and Harley (female, age 3 now). 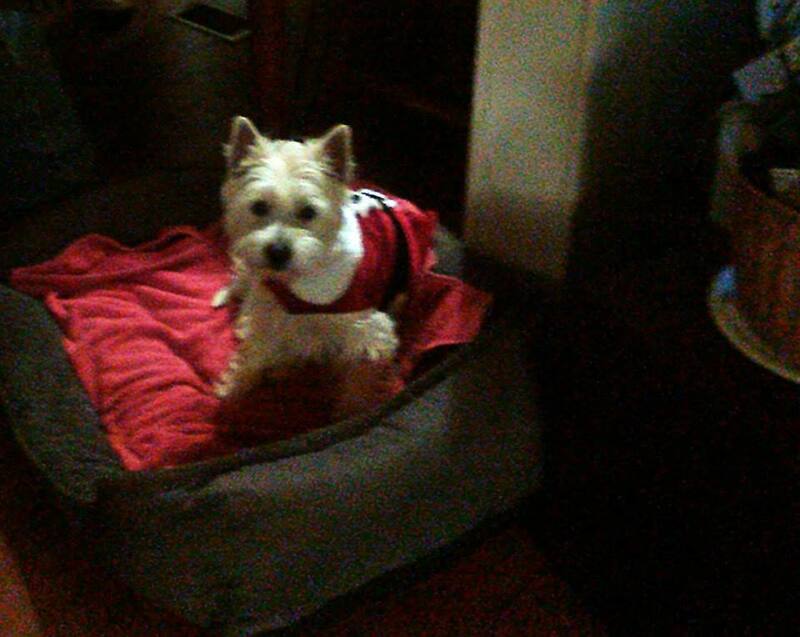 We also inherited a female (age 4 now) Yorkie/Maltese mix, Candi, who is also pictured in the header. 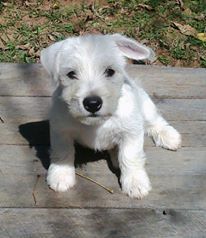 For those who don’t know what a Westie or West Highland White Terrier is, I usually say, “You know, the Ceasar dog,” and they know exactly the type of dog I mean. and friends who had passed away. 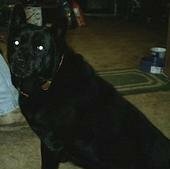 Chelsea was about sixteen when she passed. 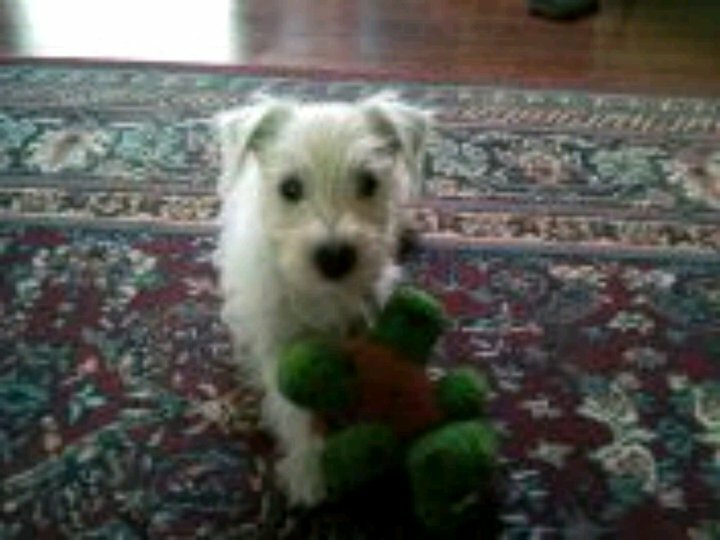 I’m thinking Lee’s friend had her for about 6 years and we had her for about 10 years in 2009. Chelsea ruled the house and all the dogs in the neighborhood. She was known to chase the neighborhood dogs from the yard if she wanted. Our previous dog, Lucky found us in 1995. Lucky was, we think, a mixed Sharpei/Lab. My parents had passed away and we were finishing up with the packing and cleaning of their house to sell it. Lee, my husband, started to move the truck away from the grill before he grilled hamburgers or steaks, can’t remember exactly. This little black thing ran out from under the truck and into the corner of the carport. Lee jumped out of the truck to see what it was and we found this cute little puppy. Lee said he was going to name him Lucky because he was Lucky he hadn’t run over him and he was a boy, because at the time, we would only take boys. We also took care of a part chow female by the name of Angel who actually belonged to Lee’s brother. We even paid to have her spayed since she was staying at our house. Lucky was very passive but had a ferocious bark. He passed away in 2010. 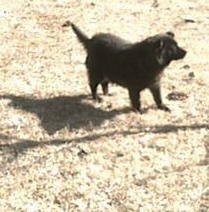 Before Lucky, we had a male chow mix we named Bear because he looked like a bear cub when he was a puppy. 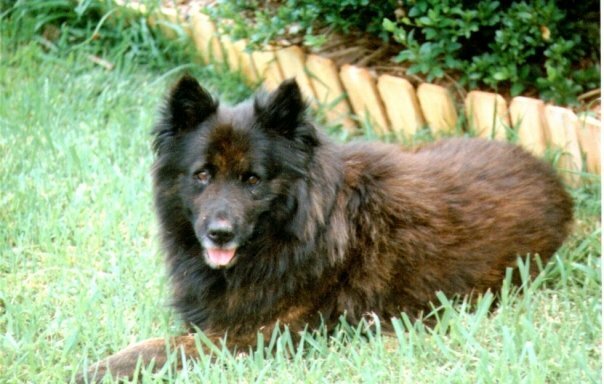 I can’t remember how old Bear was when he passed in 1996, but he was about 13. 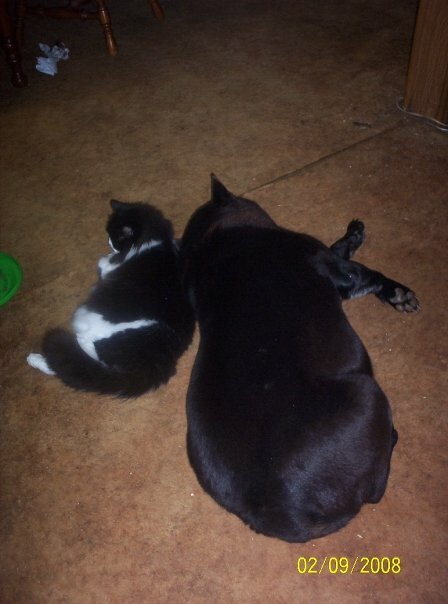 He was a very protective dog. If I was home alone, he didn’t let anyone near me. I often wondered if he wasn’t mixed with wolf by the looks of him. We thought he was a Chow/Lab mix. 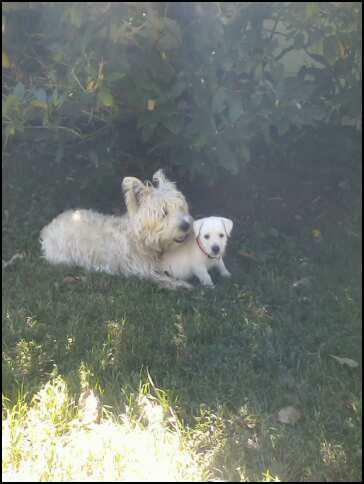 Now, Scooter and Harley have puppies that were born October 6, 2015 and will soon leave us for their forever homes. While it is sad to see them go and we’ll probably shed lots of tears as each one leaves for their new families, it is for the best. The next episode will be about the puppies as they grow. So stay tune for the next blog post.